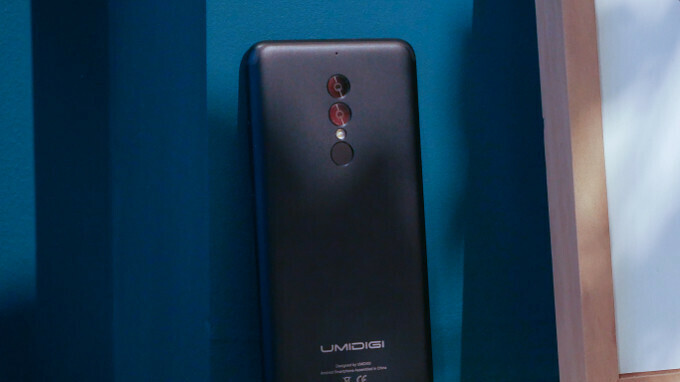 Count it on UMIDIGI to slap premium features in a budget offering, and the Lite moniker of its new S2 model doesn't really tell the tale. The phone inherits most of the notable features of its S2 sibling, which we showed you not long ago, like the 6" 18:9 display, or the giant 5100 mAh battery, but makes a few substantial changes, and manages to fit into a sub-$150 price bracket. The 6" 720 x 1440 pixels Sharp display, and MediaTek's octa-core Helio P20 clocked at 2.3 GHz are carried over from its non-Lite edition, as are the 4 GB of RAM that help it keep things load faster, but takes the on-board storage down a notch, to 32 GB, expandable via a microSD card of up to 256 GB. The red or black metal unibody wraps around a dual camera on the back, which this time consists of a 16MP, instead of the 13MP sensor on the S2, while the 5MP sidekick stays for distance detection and artistic blur simulation. The 5MP snapper at the front serves a dual purpose of taking selfies, or aiding in visual recognition that allows you to unlock your S2 Lite with your facial features only. How much for this stuffed puppy? Well, the UMIDIGI S2 Lite will set you back just $169.99 with dual SIM card slots and Android Nougat on board, and it is available for preview at the link below. Am I misunderstanding the term 'bezel-less' or something? We need to have bezel on/in/around the phone to house the speaker(s) and camera. Also to have some sort of protection from drops so the screen doesn't crack/break/shatter. I don't understand this trend. Maximizing the screen to body ratio has a functional limit for one handed functionality. Umidigi S2 pro is nothing but CHEAT. The battery drains so quick.It is NOT 5000mah. The camera is very bad. You just get BLURRY pics. Build quality is very low and most material is CHEAP PLASTIC Touch screen not responsive. Camera and applications hanged and stopped too often. Antutu benchmark so low, only around 75k. Thats FAR BELOW current devices that exceeds 200K Just don't buy it. It nothing but wasting your money.